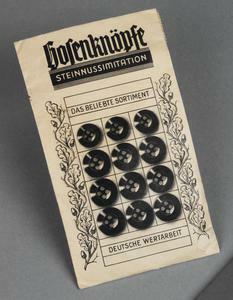 13 paper-like package (L 13.5cm x W 8cm) containing trouser buttons. 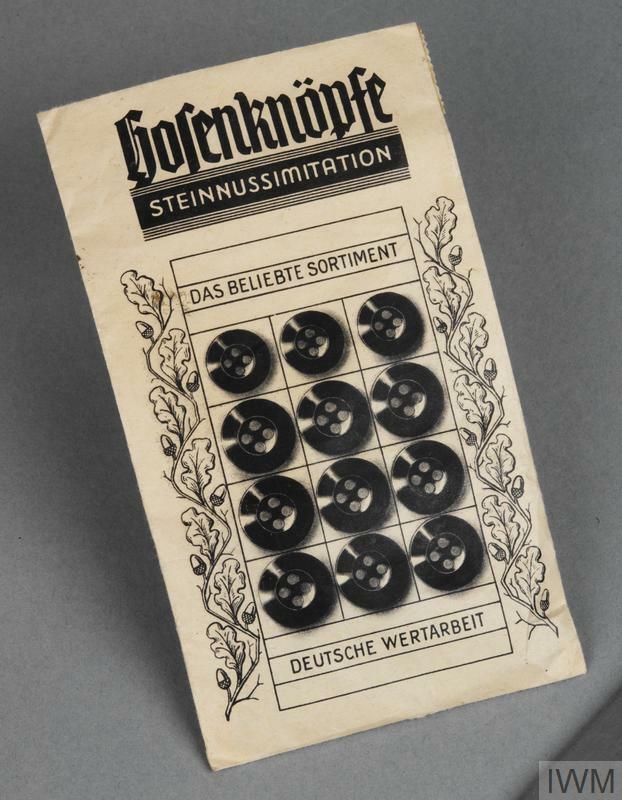 The package bears the text: (on front) 'Hosenknoepfe Steinnussimitation / Das Beliebte sortiment / Deutche Wertarbeit'; (and on reverse) 'Litzmannstadt / Textil-Industrie'. 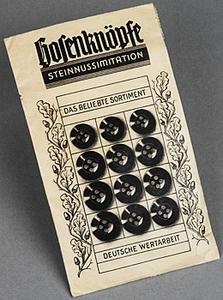 Package of trouser buttons manufactured in the Lodz Ghetto (Poland) during the Second World War. The ghetto (which was sealed by German military authorities in May 1940) originally contained an estimated 230,000 Jewish inhabitants. 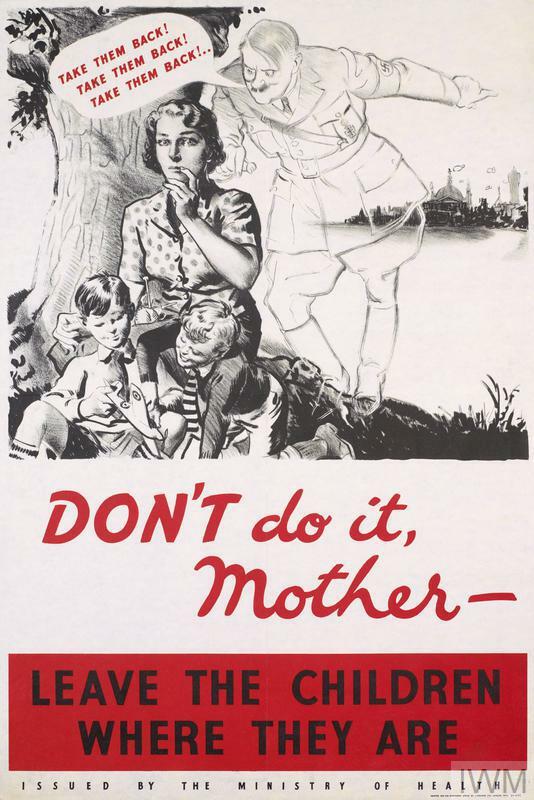 Despite acute food shortages and deportations to death camps (principally Chelmno) the ghetto with its skilled workforce became a major production centre under the German occupation. The ghetto's few remaining survivors were liberated by Soviet forces on 19 January 1945. Part of the Denis Vernez collection purchased October 2003, which includes a number of Holocaust-related objects as well as items relating to the occupation of France in the Second World War.